Home » » DVD Info: New edition of Bonnie and Clyde coming. DVD Info: New edition of Bonnie and Clyde coming. 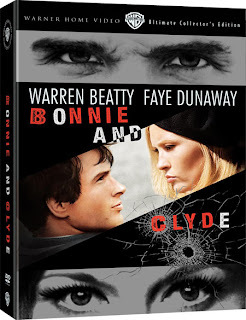 Warner Home Video has announced that they will be releasing 2 special editions of Bonnie and Clyde on March 25th. The film starred Faye Dunaway and Warren Beatty as the pair of infamous robbers and was directed by Arthur Penn. The film has been completely remastered and will include over 3 hours of extras. * includes newsreel footage, period accounts, and interviews with biographers to bring the story of the notorious outlaws to life. Mail-in offer for a poster. The Ultimate edition will retail for $39.92, while the Special edition will be $20.97.